Benedictional of St Aethelwold up! A couple of posts in the pipeline dealing with church politics stuff are sidelined for a most important announcement: the British Library has put on line the splendid Benedictional of St. Æthelwold! Æthelwold was the teacher of Aelfric, the chief guy my dissertation was about, so this is a big deal for me. The manuscript illustrations are simply beautiful—they’re definitely worth the time to look through. This entry was posted in Church History, Liturgy, Medieval Stuff on February 3, 2014 by Derek A. Olsen. The sacraments, particularly Baptism and Eucharist, have been an important part of the Anglican tradition from even before the time that Anglicans became a distinct body within the global Church. Looking across the centuries of Christian sacramental practice, we see quite a lot of change based on different beliefs that appeared in different times and different places. The sacramental rites and who had access to them shift as the understandings of those rites shifted. However, we find through all of these practices a significant common thread: the sacraments can never be viewed in isolation; they are intimately connected with one another to form a broader pattern of Christian discipleship. The evidence of the first few centuries is notoriously spotty; the church grew in obscurity from its humble beginnings and once it began to flourish, it became the target of suspicion and then suppression from the Roman authorities. As a result, we get only bits and pieces from the first three Christian centuries. 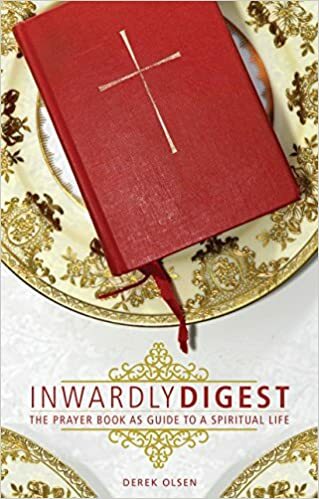 Our first real glimpse of the sacramental teaching of the Early Church after the writing of the New Testament is a short little book called the Didache (pronounced “Did-a-kay”). Difficult to date, most scholars believe that it was written sometime at the end of the first century or the very beginning of the second. It is the first surviving Christian writing to make a statement on the direct relationship between Baptism and the Eucharist (but is hardly the last). It states: “But let none eat or drink of your Eucharist except those who have been baptized in the Lord’s Name. For concerning this also did the Lord say, ‘Give not that which is holy to the dogs’” (Did. 9.5). It’s only fair to locate this statement within the larger context of the whole treatise. The Didache was written as a baptismal instruction manual. It begins with a section describing “The Way of Life and of Death” that lays out the ethical conduct required to live as a disciple of Christ. It begins by describing the demands of discipleship. Then it describes the Baptismal rite, then the Eucharistic rite, and it’s after the description of the Eucharist where we find the admonishment that only the baptized should receive the Eucharist. In this initial foundational document, Baptism is the introduction into a life of discipleship—the Eucharist is the food that sustains it. Justin Martyr, an apologist who died for his faith, wrote a defense of that faith around the year 150. In it, he too linked the same themes that we see in the earlier Didache: “…And we call this food ‘thanksgiving [eucharist]’; and no one may partake of it unless he is convinced of the truth of our teaching, and has been cleansed with the washing for forgiveness of sins and regeneration, and lives as Christ handed down” (First Apology 66.1). For Justin Martyr, the Eucharist is the food of discipleship that is preceded not solely by Baptism but by faith, by Baptism, and by a life marked by discipleship. As we move farther into the second century we can take a broader view because our evidence allows us to gain insight into more aspects of Christian life. Hippolytus of Rome wrote a set of liturgical instructions around the year 215 that laid out the ideal process for Christian initiation and living. Those who wished to become part of the faith were examined to see if they lived acceptable lives. People with certain jobs were automatically denied. Some of these are not surprising: pimps, prostitutes, sorcerers, magic amulet-makers, priests of pagan cults. Others might be more surprising: soldiers, actors, painters, and civil officials. Essentially, anyone who either was connected to the practices of idolatry or those who held the power of life and death—including condemning others to death—had to renounce their profession or be turned away. Those acceptable were enrolled as catechumens (pronounced “kat-a-kyu-mens”) and were instructed in faith for up to three years before they were selected for Baptism. The criteria Hippolytus gives us is significant: “When those to be baptized have been selected, their life is to be examined: Have they lived uprightly during their catechumenate? Have they respected widows, visited the sick, practiced all the good works?” Baptism was not dependent upon knowing a certain amount (that was a given based on the period of instruction beforehand) but on whether the catechumens were living lives of tangible discipleship. After selection for Baptism, Lent became a special time of intensive pre-Baptismal preparation where formerly hidden parts of the Christian teaching were revealed; the catechumens were formally given the Creed and the Lord’s Prayer along with exorcisms. Hippolytus then describes Baptism at the Easter vigil with the bishop presiding. The candidates are baptized and anointed. Then we get our first record of the rite of Confirmation: the bishop seals the newly-baptized with oil and lays hands on them. After this rite, they receive their first Eucharist. Again we see the basic pattern of discipleship inextricably bound with the reception of the sacraments. The vision that we get from Hippolytus—Baptism at the Easter Vigil followed immediately by Confirmation and by Eucharist—becomes the standard pattern that we will see through the third and fourth centuries. Indeed, the fourth century is the age of the great catechetical lectures; several of the Church Fathers such as Cyril of Jerusalem and Ambrose of Milan wrote and gave lectures preparing the catechumens for the life of discipleship as well as post-Baptismal lectures that explained the meanings of the rites that they had experienced. In order to reserve their experience of the Christian sacraments for the time in which they could participate in them fully, however, the Eucharistic liturgies of the fourth centuries have a specific point during the prayers and before the Eucharist where all of the catechumens were dismissed. With the fall of Roman authority in the West, the move of Christian Rome to the Greek-speaking East in Constantinople, and the large-scale migrations in tribal Europe, the social and religious patterns of the fourth century experienced tremendous disruption in the West between the late fourth and sixth centuries. By the end of this time, Baptism was typically administered to infants. Because of the infant mortality rate and the spread of a biologically-grounded understanding of original sin, Christian parents felt a need to have their children baptized as soon as possible lest they die outside of the Church. The chrism of Confirmation still required a bishop, however. In some places, Baptisms were held at the Easter Vigil when possible and the infants were communed even if the bishop was not available—for those who lived near urban centers and cathedrals, Confirmations would follow the week after. For those who lived in more rural areas, Confirmation would occur the next time the bishop was in the area…in theory. In practice, though, Confirmation was put off not just months but often years; Baptism and Confirmation began to take on separate lives of their own. By the medieval period, Confirmation seems to have been a sacrament often honored in the breach. In the thirteenth century there were a number of rulings by local English Synods that sought to compel Confirmation. One council insisted that children be confirmed within their first year or else their parents were forbidden to even enter the church building. Another mandated that Confirmation had to occur before the age of seven. Yet another insisted that Confirmation happen before three; if this did not happen, the parents were required to fast on bread and water until the time that the Confirmation occurred! Furthermore, reception of the Eucharist became less and less common. Due to fears of profanation of the sacrament, most laity received the Eucharistic bread infrequently. At the Fourth Lateran Council in 1215, Pope Innocent III decreed that all Christians had to receive the Eucharist at least once a year, at Easter, and that sacramental Confession had to precede it. In relation to this Eucharistic ordinance and in frustration at the dearth of Confirmations, the Council of Lambeth meeting in 1281 under Archbishop Peckham decreed that only those who had received Confirmation would be allowed to receive the Eucharist. At Baptism, the parents and sponsors promised to teach the fundamentals of discipleship—the Ten Commandments, Creed, and Lord’s Prayer. In turn, the priests were required to teach these to the people in the vernacular. Although the infants could not understand, the Creed and Lord’s Prayer were still handed over to them during Lent, and often early medieval sermons during Lent and the Easter season explained them to the people. While the practice of the sacraments in the medieval West differed from that of the fourth century of the Church Fathers, the fundamental pattern was the same: Baptism, Confirmation, Confession, then Communion. With the virtual universal adoption of Christianity in the West, the connections between the sacramental rites and the life of discipleship became less obvious. The presence and practice of Confession between a vital link between the Great Sacraments of Baptism and Eucharist, and Christian discipleship. Drawing its power from Baptism, requiring thoughtful reflection about intentional habits of life, and receiving advice for Christian living from the confessor-priest, the demands of discipleship were placed in direct relationship with Eucharistic reception. The children are baptized into a community—the ark of Christ’s church—and sanctified with the Holy Spirit, binding them to the rest of the holy and chosen people likewise baptized. Furthermore, they are baptized for discipleship—service of God characterized by the Christian virtues of faith, hope, and love. This is the end of Baptism—a life of virtue in the example of Christ. This is why we are baptized, this is why we must learn the core instructions of the faith. It’s not (solely) for the sake of knowledge but for action, for faithful daily living. This exhortation—however brief—makes clear that the combination of Baptism and Confirmation is not all that is required: active discipleship is the stated requirement. The confession and absolution that follow should not be seen simply as a cleansing of sin—they are also a naming of acts that describe what the congregation has failed to do with an eye towards mending their ways and returning to full discipleship. The prayer book tradition begins, then, with a continuation of the classical Western pattern: Baptism, Confirmation, Confession, then Eucharist. While the confession in the prayer book rite is a general one, private confession is recommended in the exhortation but is not required. The American 1928 Book of Common Prayer follows substantially in the tradition laid down almost 400 years before. Baptism is still about inclusion into the Church, the Body of Christ; Confirmation is still required for admission to the Eucharist; Confession still occurs before reception (although it has shifted to before the consecration). The exhortations are still present although moved out of main body of the rite. The American 1979 Book of Common Prayer represents a major revision from the mainstream of the Anglican Tradition. With the influence of the ecumenical Liturgical Renewal Movement, Roman Catholic and Mainline Protestant Churches alike aligned their liturgical practices back towards the pattern represented by the fourth century rites. Following suit, our current prayer book melds fourth century traditions with historic Anglican ones. The rethinking of our rites that accompanied these efforts included some substantial modifications of our sacramental theology. Our current prayer book makes clear that Baptism—not Confirmation—is full initiation into the Church (BCP, p. 298); Confirmation is no longer required in order to receive the Eucharist. The demands of discipleship are laid out in the form of the Baptismal Covenant. Those being baptized or their sponsors commit to belief in the Apostles’ Creed but also commit to five specific patterns of behavior: continuing in the apostles’ teaching and fellowship particularly through the breaking of bread and the prayers, repentance and returning to God after sin, proclaiming the Good News of Christ by word and deed, seeking and serving Christ in all persons, and striving for justice and peace and respecting the dignity of all (BCP, p. 304-5). These patterns of life sketch the boundaries of discipleship. The Confirmation rite removes the questions and answers that had characterized it from the beginning of the Anglican tradition. Instead, the heart of the service is a recapitulation of the Baptismal Covenant (BCP, p. 416-7).Confirmation is a reaffirmation and a mature claiming of the patterns of discipleship taken on in Baptism. A general confession still precedes reception of the Eucharist. The version in Rite I differs only in wording and spelling from the1928 and 1549 forms. The version in Rite II has been rewritten so that the demands of discipleship are sketched in the confession itself rather than in the exhortation preceding it. Rather than focusing on specific acts, the confession sketches categories by which we either maintain or fall short of perfect discipleship: “in thought, word, and deed” and also “by what we have done, and by what we have left undone” (BCP, p. 360). Recalling both the two tables of the Ten Commandments and Christ’s own Summary of the Law we acknowledge discipleship’s requirements when we say that “We have not loved [God] with our whole heart; we have not loved our neighbors as ourselves” (ibid.). Our contrition and request for mercy that follows is itself a fulfillment of the Baptismal Covenant’s second promise to repent and return to the Lord. The concluding lines express our hope for the result of God’s grace: that we can fulfill discipleship’s demands through a proper reorientation towards God. One final element clarifies and sharpens the Eucharistic theology of our present prayer book. Where formerly there was one post-communion prayer, now there are two. Despite this change, the structure of both prayers is the same: they begin with a recognition that those who have received are “living members” of the Body of Christ, and move to a request to be sent out to fulfill the works of discipleship. (BCP, pp. 365, 366). Those who belong to the visible Body of Christ receive the sacramental Body of Christ and, as the empowered Body of Christ, are authorized to perform the works of Christ. Across the ages Christian communities have not embodied the sacraments in identical ways. However, there are some fundamental patterns that are constant. The traditions and the liturgies of the Church have never treated the sacraments as distinct and isolated rites. The central common thread connecting the primary sacraments of the Church is discipleship. The sacraments and the grace that they communicate are not simply a generic sign of God’s favor but is precisely grace for a cruciform life of discipleship . Baptism is the act of initiation into the communal and visible Body of Christ which is the Church, the community of disciples. Eucharist is food for the Church where in the midst of the communal Body of Christ bread and wine become the sacramental Body (and Blood) of Christ given to feed the life of discipleship. The sacraments are always communal actions: Baptism is Baptism into the full community of faith; Confirmation is Confirmation into a local community of faith; Confession is an alignment back to the norms of the community; Eucharist is the communal celebration of its identity and integration into Christ. Most discussions about Communion without Baptism only consider it from the perspective of an individual attending one liturgy. This is an inadequate perspective that fails to properly treat either the communal nature of the sacraments or their intimate connection with discipleship. Rather than discussing “Communion Without Baptism” the Church would be far better served by a discussion around the “Sacramental Path to Discipleship.” Is how we greet strangers important? Absolutely. Is hospitality a Christian virtue? Absolutely. But our most hospitable act towards strangers is to introduce them to the sacramental path to discipleship that will bring them into a community that embraces God’s promise of resurrection life most fully. We as a Church have received the sacraments for a purpose. They bind us deeper into the life of grace into which God invites us. But without committing to embracing that resurrection life offered—and sharing it with those we meet—we mistake the nature, purpose, and aim of these sacramental gifts. This entry was posted in Anglican, Church History, Sacraments on June 21, 2012 by Derek A. Olsen.